Belov A., Abunin A., Abunina M., Eroshenko E., Oleneva V., Yanke V., Papaioannou A., Mavromichalaki H. Galactic cosmic ray density variations in magnetic clouds // Solar Physics: V. 290. – I. 5. – P. 1429–1444. – 2015. Belov A., Abunin A., Abunina M., Eroshenko E., Oleneva V., Yanke V., Papaioannou A., Mavromichalaki H., Gopalswamy N., Yashiro S. Coronal mass ejections and non-recurrent Forbush decreases // Solar Physics: V. 289. – I. 10. – P. 3949–3960. – 2014. Abunin A.A., Abunina M.A., Belov A.V., Eroshenko E.A., Oleneva V.A., Yanke V.G. Forbush effects with a sudden and gradual onset // Geomagnetism and Aeronomy: V. 52. – N. 3. – P. 313–320. – 2012. Abunina M.A., Abunin A.A., Belov A.V., Eroshenko E.A., Oleneva V.A., Yanke V.G. Long term variations of the amplitude-phase interrelation of the cosmic ray anisotropy first harmonic // Journal of Physics: Conference Series: V.409. – A. 012163. – 2013. Abunina M.A., Abunin A.A., Belov A.V., Eroshenko E.A., Asipenka A.S., Oleneva V.A., Yanke V.G. Relationship between Forbush Effect parameters and the heliolongitude of solar sources // Geomagnetism and Aeronomy: V. 53. – N. 1. – P. 10–18. – 2013. Abunina M., Abunin A., Belov A., Eroshenko E., Oleneva V., Yanke V. Phase distribution of the first harmonic of the cosmic ray anisotropy during the initial phase of Forbush effects // Journal of Physics Conference Series: V. 632. – N. 012044. – 2015. Papaioannou A., Malandraki O., Belov A., Skoug R., Mavromichalaki H., Eroshenko E., Abunin A., Lepri S. On the analysis of the complex Forbush decreases of January 2005 // Solar Physics: – 2010. – V. 266. – P. 181–193. Chertok I.M., Grechnev V.V., Belov A.V., Abunin A.A. 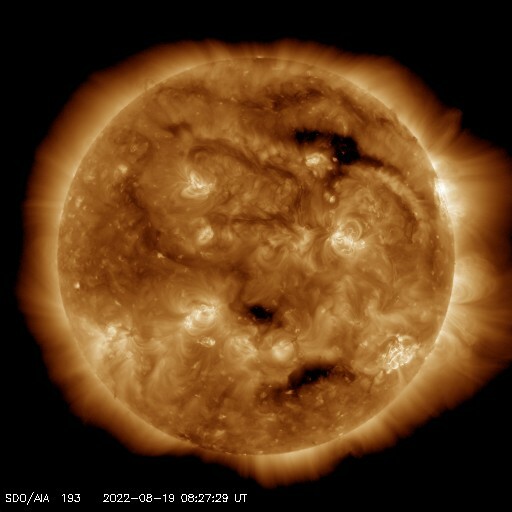 Magnetic flux of EUV arcade and dimming regions as a relevant parameter for early diagnostics of solar eruptions - sources of non-recurrent geomagnetic storms and Forbush decreases // Solar Physics: V. 283. – I. 2. – P. 557–563. – 2013.